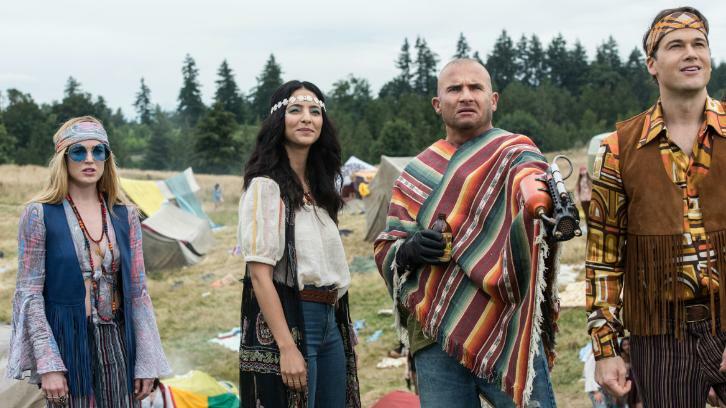 Legends Of Tomorrow - The Virgin Gary - Review: "It'll Help Our Ratings"
To tell the truth, I was not looking forward to season 4 of Legends after the lackluster way Season 3 unfolded with Mallus. It is not that Season 3 was bad, it wasn't. It just felt like a road that eventually led to nowhere, but the journey was still great. Somewhere in it's run, Legends has transformed itself into a larger than life funtastical romp with a team of loveable rag-tags and while I was enjoying the show it became, the mystical aspect felt like a danger to it. I was worried what Constantine's full time presence would do this show but honestly, if the who season can go as well as The Virgin Gary, I'm all in. I loved that we got dropped right into the Legends mission with the Beatles and Paul Revere as if it was business as usual, and it was great to hear the writers acknowledge through the dialogue about how same old, same old the show has been. there was so much meta commentary within that first 10 minutes or so, I was squealing. I loved how they made note of Wally's exit and acknowledged their ratings. It was amazing! AvaLance is still going strong and I thought Ava's proposal that Sara move in now that all the anachronisms are gone and she be a partially kept woman was super cute event though I knew all of the happiness couldn't last. Cue Sara's Ex-Lover and his knuckles sneaking into Ava's place to warn her of the dangers to come, and I honestly was a happy to see him. 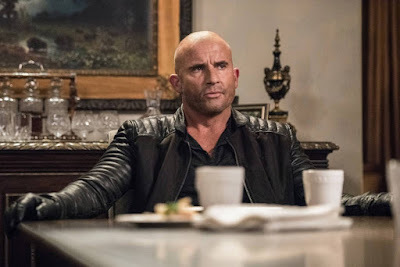 Matt Ryan is great as Constantine, I just hope he doesn't get overused as I felt previously in the Arrowverse he's worked best in small doses. This truly was to date, his best bit of inclusion into this 'verse and his chemistry with Sara and the crew just works. 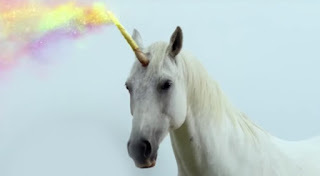 Much to Mick's dismay, there were no Dragons to be slain, there was unicorn that was going to alter history by causing a massacre at Woodstock. Ray and Zari are already at Woodstock because they thought that Nora Darhk, who Ray freed and has feelings for was the source of the alteration. If there is one plot I'm not excited about, it's the shoehorning of more Nora Darhk. We've already got one shady magical sassmaster, we really don't need another. I thought the unicorn twist was hilarious and I loved that the writers found a way to get Gary included as his virginess was needed. Also, the fact that Gary brought up that he and Constantine kissed and it was alluded Constantine wanted to do something about his virginity sent me to the moon. 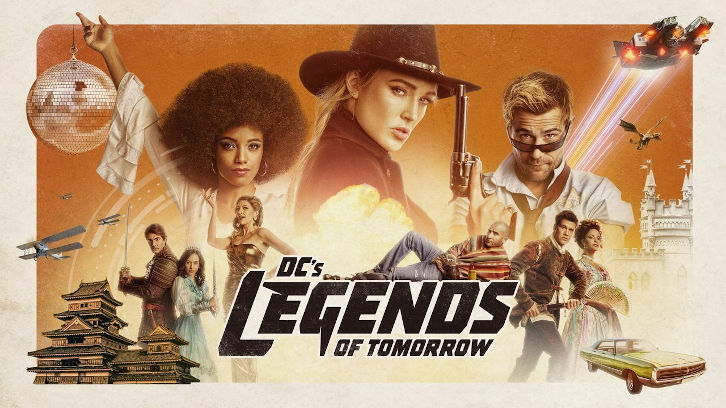 I love having bi-representation on TV, so kudos Legends Team. What really made this episode fun as that it was Legends at it's best, no clear villain plot that feels forced in, just a zany adventure that puts our characters in hilarious situations while also helping them grow as people. Think of how far these characters have come since they were introduced! I know when John and Sara talked about keeping those you love at a distance, I knew there was a time when Sara would've agreed with John wholeheartedly, but this team changed her and it makes sense she thinks it will change John too.I loved seeign how tight knot the team is and just having so much fun throughout the episode. This was truly a great way to start the season! I do think that while it was nice to see the writers decide to focus on Nate’s familial relationships than romantic ones, the end result of his subplot with his father felt a little too rushed. I’m sure that this isn’t the last we’ve seen of his father and I expect that their reconciliations is far from done deal than what the closing moments would suggest, I just wish there was more time spent there than there was. This plot honestly was great because it gave Mick and Nate a chance to play off of each other(Them stealing the car, to breaking in, Mick with his parents and their mistaken identity illusions were all VERY HIGH POINTS of this episode.) and I Hope that going forward we see more of these two together, maybe Mick will Brony Up with my two favorite dorks. What did you think of the season opener? Are you down for the ride this season? Do you like the team smaller or bigger? Sound off Below!